Dubai Institute of Design and Innovation (DIDI) offers a unique design education, in the form of a four-year Bachelor of Design Degree (BDes). The first of its kind in the region, DIDI’s curriculum has been crafted in partnership with the Massachusetts Institute of Technology (MIT), and Parsons School of Design, and offers a distinctive program, firmly embedded in design-thinking and creative problem-solving. Opening its doors in Fall 2018, DIDI is a private, not-for-profit Institute of Design. Dubai Institute of Design and Innovation believes that the future of design education is experimental, transformative, disruptive and cross-disciplinary. We intend to become the school of choice for the next generation of change-makers who will conceive and create sustainable design solutions for today’s problems for the benefit of tomorrow’s society. DIDI prepares students to effectively respond to a rapidly changing world with transferable skills that are cross-disciplinary and problem-solving by design. We will equip the next generation of change makers to use design as a tool to create positive change. Our students will learn visual literacy and technological capabilities to craft, form and create a sustainable future. DIDI will support emerging design talent across the region through an open source and collaborative approach that values cooperation and partnership. We are invested in integrated curricular innovation and technological experimentation. DIDI will create leaders and influencers of the 21st Century. DIDI will deliver a world-class curriculum and global research to create a new generation of skilled individuals in the region. DIDI will provide a new ecosystem of learning experiences. DIDI will provide students with mentorship and access to incubation support. DIDI will use design as the new language of change. DIDI’S CAMPUS OFFERS SPACE FOR CREATIVE MINDS TO BE INSPIRED. 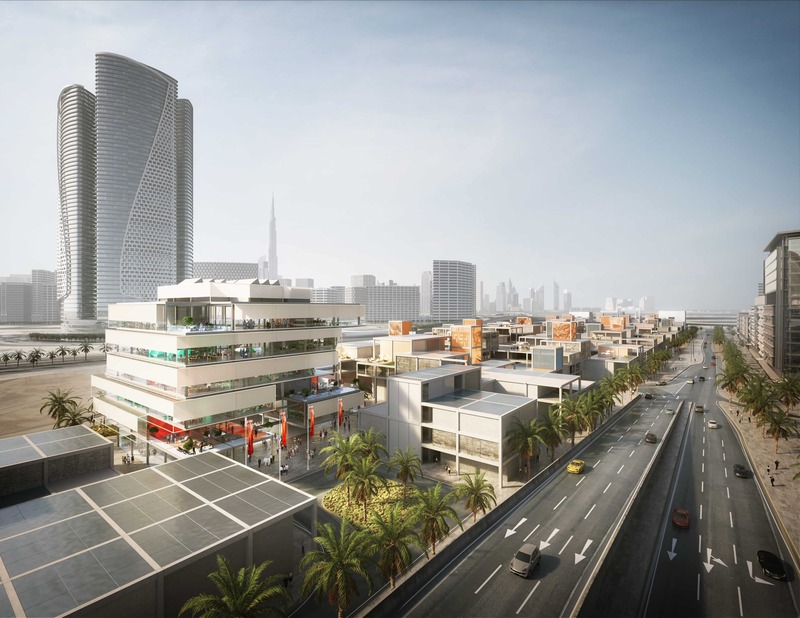 The DIDI campus will provide interactive and contemporary workspaces for young designers in the UAE, at the heart of the Creative Community at d3. Designed by Foster + Partners, the campus creates a unique learning environment for students to nurture and showcase their innovation and creativity. A ‘social’ staircase at the heart of the building links all six stories, creating informal spaces for interaction, debate and display, and connecting studios together. Differing floorplates at every level create dynamic internal terraces that overlook a central atrium. Space is laid out in a ‘mega’ studio setting, together with world-class facilities, enabling cross-collaboration between design disciplines, bringing students and faculty together in a dynamic environment. The campus is spread over 100,000 square feet in the Creative Community at d3 and will have the capacity to accommodate 550 students. Students living in Dubai will have an enviable access to an incredible calendar of design events that include Dubai Design Week, Dubai Design Days Fashion-Forward, and Abwab.The futuristic city of Dubai boasts golden beaches, the deserts, and a growing arts and street culture scene, set against the breath-taking Dubai skyline. Futuristic, multicultural and safe, Dubai is a city of innovation that welcomes tomorrow’s change makers.